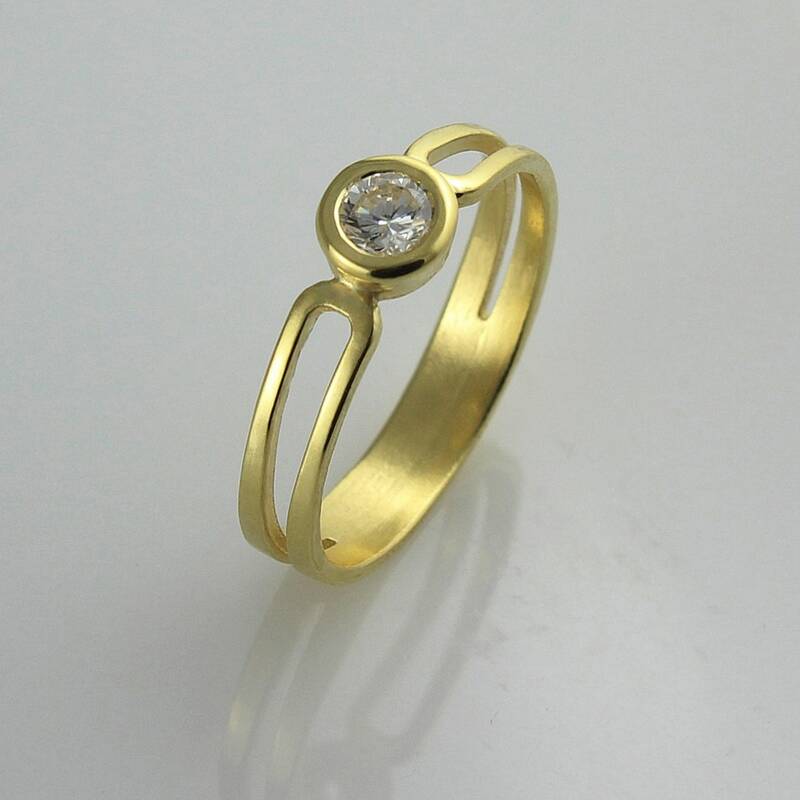 Solid 14k yellow gold engagement ring with a round cut natural diamond. Simple and modern diamond promise ring for her. Make her feel special with this somewhat alternative solitaire diamond engagement ring. It is modern and simple in style, but very special and unique! Just like your loved one. Made with fine 14k or 18k solid yellow gold, and a conflict free, brilliant round cut natural center diamond. The band it self is smooth and comfortable for everyday wear for years to come. Make this moment a one to remember! Add this fabulous promise ring to your cart today! Ring width - 3.8 mm / 0.15"
Ring Thickness - 1 mm / 0.039"
Diameter - 3.9 mm / 0.154"
Ring is available in both 14k and 18k fine solid yellow gold. Please choose your preferable material from the drop down menu before check out.